Anaphylaxis is a life-threatening allergic reaction. It starts soon after you are exposed to something you are severely allergic to. You may have swelling, itching or a rash with itchy bumps (hives). Some people have trouble breathing, a tight feeling in their chest or dizziness. Some people feel anxious. Other people have stomach cramps, nausea or diarrhea. Some people lose consciousness (pass out). 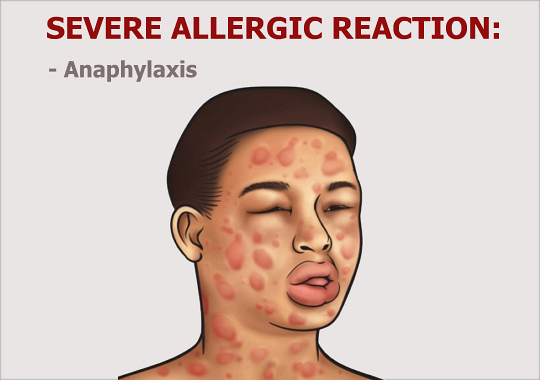 A person who has anaphylaxis needs immediate medical attention. Causes And Risk Factors - What Causes Anaphylaxis? 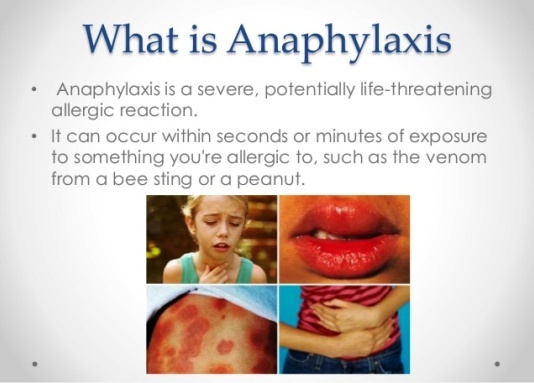 Anaphylaxis is most often caused by exposure to an allergen. 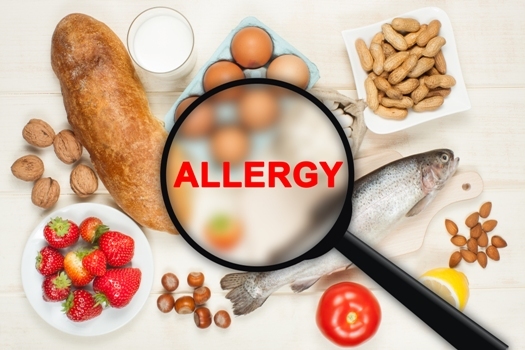 Normally, when you are exposed to an allergen, your immune system produces antibodies to help you “fight” the allergen. These antibodies are the cause of normal allergy symptoms - normal allergy symptoms aren't life threatening. However, sometimes your immune system can overreact to an allergen and cause a very severe allergic reaction - this can lead to anaphylaxis and is very dangerous. What Do I Do If I Have Or Someone I Know Has A Severe Allergic Reaction? Call 911 to get emergency medical help right away. If the person having an attack has an emergency anaphylaxis kit with an EpiPen (epinephrine injector), give him or her the epinephrine injection right away. Then, make sure he or she still goes to the emergency room for follow-up. Epinephrine just buys the victim some time to get to emergency care. What Is In An Emergency Anaphylaxis Kit? An emergency anaphylaxis kit contains medicine to counteract your allergic reaction. 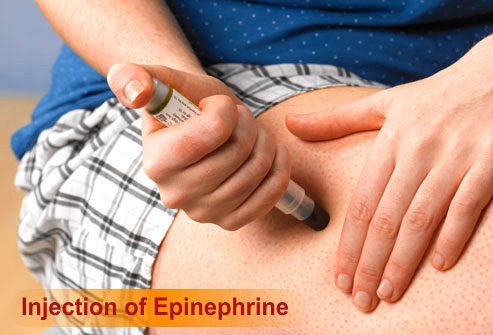 This medicine is usually a drug called epinephrine that you inject into your arm or leg (or have a friend inject). Your doctor will prescribe a kit with the right dose of medicine and will teach you how to use it. Make sure your family, friends, and coworkers also know how to use the kit. Sometimes your doctor will tell you to keep an antihistamine, such as diphenhydramine (one brand name: Benadryl), in the kit too. What Can I Expect After Anaphylaxis? You should recover completely with treatment. Most people live a normal, full life. You can get back to your normal activities once you are feeling better. However, you should have someone stay with you for 24 hours after anaphylaxis to make sure another attack does not happen. How Do I Prevent Anaphylaxis? 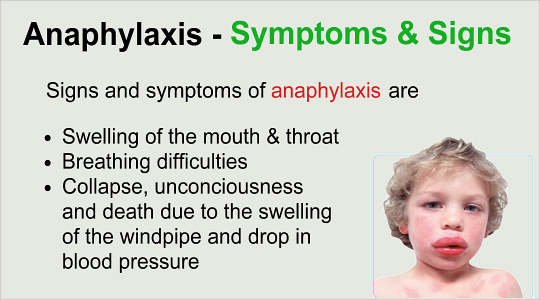 • If you have had anaphylaxis, make sure your doctor and dentist know so that it is recorded on your medical chart. Tell them what you are allergic to, if you know. • If you are allergic to insect stings, wear protective clothing and insect repellent when you're outside. • Avoid handling or eating foods you are allergic to. Even tiny amounts mixed by accident into your food can cause a reaction. Read the ingredient list on any packaged foods you are going to eat. • Wear or carry a medical alert bracelet, necklace or keychain that warns emergency medical technicians (EMTs) and doctors that you are at risk for anaphylaxis. • Ask your doctor if you need desensitization shots. If you have had anaphylaxis because of a bee or wasp sting, desensitization shots are almost always a good idea. • Ask your doctor if there are other things you also might be allergic to. If you are at risk of anaphylaxis, keep an emergency anaphylaxis kit with you at all times. Make sure the people around you, such as your family and friends, know how to use it.